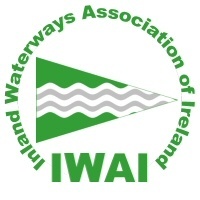 Welcome to the website of the Newry & Portadown branch of the Inland Waterways Association of Ireland (IWAI). We have the longterm ambition of restoring the Newry canal and once again joining Carlingford Lough with Lough Neagh. The branch has already begun to conserve and restore the waterway with our regular work parties. Volunteers have been removing trees and vegetation from the lock chambers so that the still impressive craftsmanship and architecture can be better appreciated by the public. In 2015 we manufactured and installed two sets of lock gates at Poyntzpass and near Scarva. We have lobbied locally and nationally to have restoration of the canal placed on the political agenda. The branch has successfully applied for funding for projects to increase public awareness of the canal and to encourage the various waterside communities to become part of our cause. 10 days ago we wrote to all the existing councillors who were standing for re-election in Newry, Mourne and Down. 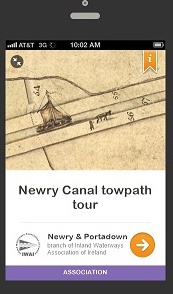 We were looking for their support for our campaign to ensure that the Newry Southern Relief Road would have a lifting bridge to permit yachts to continue entering the Albert Basin at the Quays Shopping Centre. We only got support from 3 councillors:- Gary Stokes SDLP Pete Byrne SDLP Henry Reilly IND Many thanks to these three for their foresight. The rest of them obviously don’t care if the Albert Basin becomes an empty, desolate space. Our Visitor Centre at Acton Lake opened for the summer season today and the weather couldn’t have been better for us.Lots of walkers and cyclists were enjoying balmy conditions on the towpath so we had plenty of visitors. As you can see, our Canal Race board game is proving a hit with the youngsters again this year! When volunteers are available we hope to be open on Saturdays and Sundays from 11:00 am to 4:30 pm throughout the summer. Our Branch chairman has been passing on his Boyne curragh building skills to the next generation. Jake is a regular volunteer at our canal workparties and has been beavering away for many weeks constructing his own hide covered boat. It’s nearly finished and it won’t be long before “sea” trials begin on the canal. Take a look at progress so far. Spring flowers in Canal Wood. A great day’s work done yesterday near Carnbane. A tree across the Canal removed, all the brash gathered and chipped. Then the leaf blower to tidy up the towpath. We have a great bunch of volunteers. Why not come and join us?